The College Park Community Foundation (CPCF) is pleased to announce College Park resident Laura Salers as the recipient of the 2016 Chair’s Award. The CPCF Chair’s Award was established to celebrate an individual, business, or organization that exemplifies service to the community. The residing CPCF Board Chair determines the recipient and will present this non-monetary award at the annual Awards Gala. Last year’s inaugural award recipient was long-time College Park resident, Mrs. Thelma Lomax. For 2016, the CPCF Board Chair Tricia Homer, will present the award to Mrs. Salers. Mrs. Salers has been a resident of College Park for almost 30 years. In that time, she has been a dedicated volunteer to numerous organizations: 15 years with the College Park Boys and Girl’s Club, 22 years with the Girl Scouts where she current serves as New Volunteer Specialist, 17 years with the Lions Club serving in a variety of leadership positions. Laura’s volunteer record also exemplifies the spirit of collaboration in service. Mrs. Salers brought together the City of College Park’s Tree and Landscape Board, the Lion’s Club, and the Holy Redeemer School for an Arbor Day project that has been running for five years. Laura was also one of the driving forces behind bringing the Lions Club and the College Park Community Library together for the College Park Book Festival, a popular and growing event. 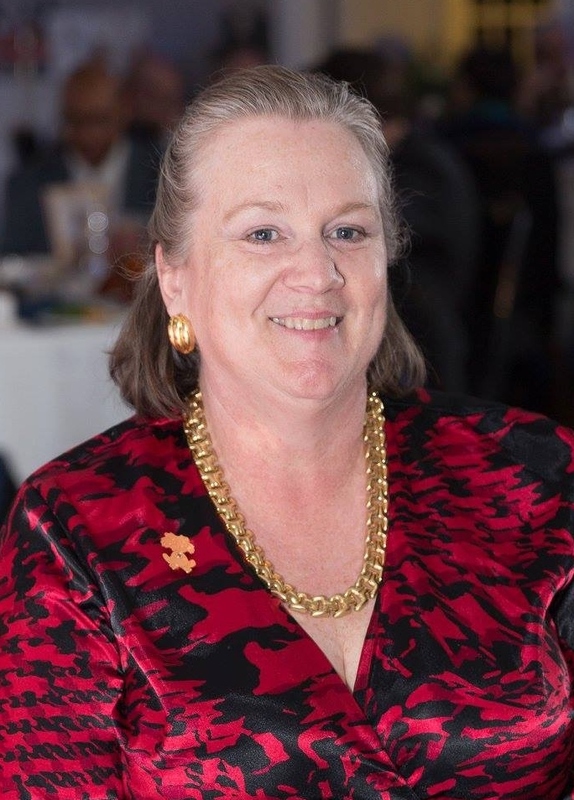 She has included the Lion’s Club in numerous other community collaborations, including College Park Day, Good Neighbor Day, St. Jude Children’s Ranch Card Front Project, the Maryland Special Olympics, Third Thirsty Thursdays, and many more. “I chose to recognize Laura this year because she’s consistently engaged. If you happen to be at a community event, it is likely that you will find Laura there, volunteering in some capacity, whether it’s the College Park Mother’s Day 5K or Student Move-In Day at the University of Maryland.” Homer said. Mrs. Salers will receive the award at the 2016 Awards Gala on December 3, 2016 at the College Park Marriott Hotel & Conference Center. The Awards Gala is the signature annual event of CPCF and recognizes the current class of grantees. Guests enjoy dinner, conversation, a silent auction, and dancing. Tickets are $55 and can be purchased here.